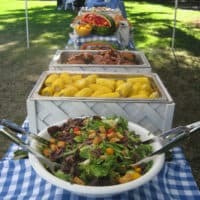 Picnic Time Productions can provide more than just creative cuisine and friendly, efficient service. 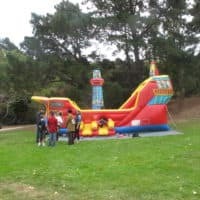 Our experienced picnic planners can coordinate virtually any of your special event needs: games and team building, theme development, equipment rentals, décor and props, entertainment, and giveaways…whatever you need to make your picnic a success. 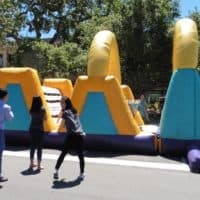 Besides great food, the most important element of a great company picnic is Fun, Fun, Fun! 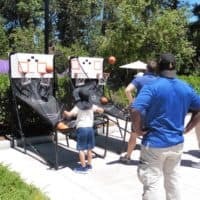 Besides our Free Fun Zone included on all of our staff picnics, there are lots of available options. 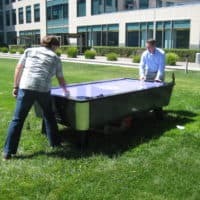 Olympic Games and Relays are always great team builders for a company picnic. We can coordinate the games and optional prizes. They are not only terrific ice breakers but really get people to work together: a great company morale booster! 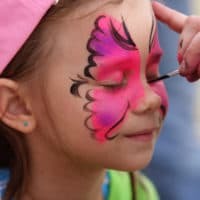 Bands and DJs are always popular but there are many other forms of entertainment to add to your event: face painters and balloon artists for the children, magicians and jugglers for the whole family, stilt walkers, costumed characters, dancers, casinos, etc. When you want the experience to be out of this world... Picnic Time Productions can coordinate backdrops, props, and staging to carry out the theme of your next corporate picnic like "Meet Me at the Oasis" with snake charmers, belly dancers, life-size camels and monkeys, pyramids, a casbah casino, and camel races. 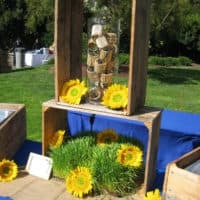 For any theme, we can provide a picnic experience your guests will remember for years to come! 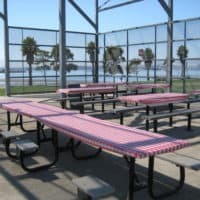 Your picnic site may have it all or nothing. No problem. 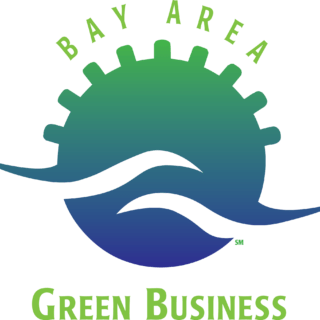 We can plan it, diagram it, and get it there: tables, chairs, staging, tents, barbecues, portable bathrooms, garbage cans and dumpsters--whatever you need to make your event a success. 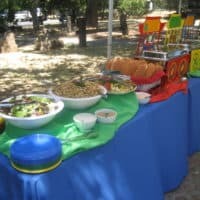 While t-shirts, hats, and glasses are always big hits, many of our themed picnics want to give a coordinated give-away to each of the guests - an item which often contains the company logo. For example, a spaceship radio for a galactic event, a beach towel for a "Water-ful Life", or an insulated lunch pack for a "Down the Mississippi" picnic. 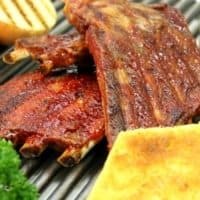 All we need is a budget and your theme! 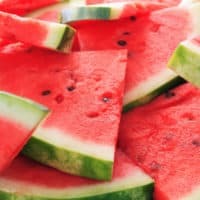 Here are just a few of the games you can add to your picnic fun! 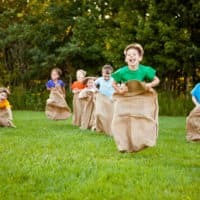 Relay Games (photo) Facilitated relay games featuring sack race, tug o’ war, spoon relay, parachute play, hula-hoop relay, and bat racing – fun for the whole family!